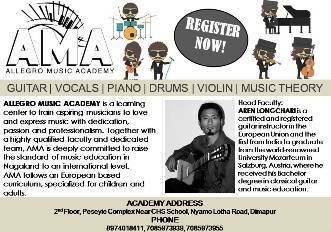 Dimapur, June 2: M-Table will be hosting ‘Acclamation Night’ to felicitate Naga individuals who has achieved recognition in the field of music and for their contribution in leading the music industry in the state. The event will be held on June 8 at Niathu Resort at 5:30 p.m. with Department of Youth Resources & Sports and MTF, advisor, Er. Zale Neikha, as special guest. 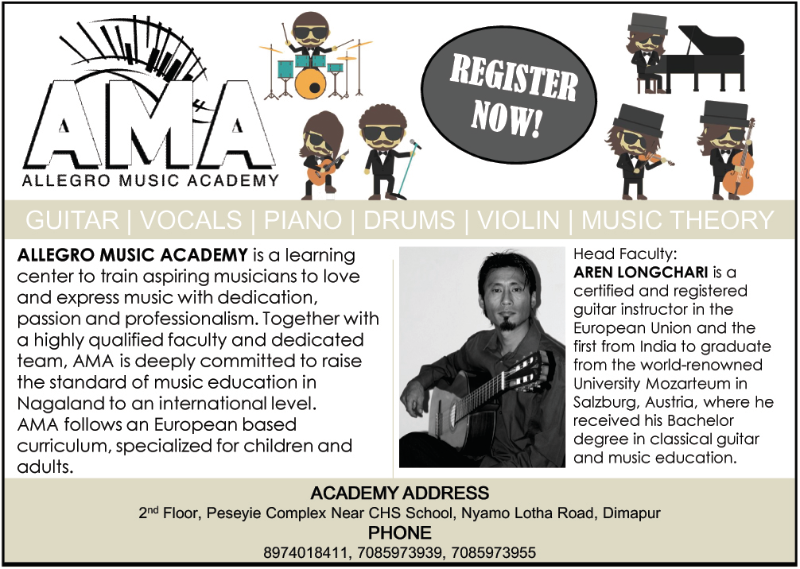 The event will see special performances by Nagaland Conservatory of Music, Jonathan, Zuchobeni Tungoe and Lords of Rock. The main objective of the event is to both acknowledge and encourage not just achievers but even upcoming artistes so as to keep the music industry in the state moving forward. It may be mentioned here that M-Table had been organizing various events even in the past years which had positively impacted the music industry in a great way. Starting off with a felicitation programme for Governor’s award winner Alobo Naga in 2015, M-Table organized an Acoustic Night at Hiyo Cafe where upcoming artistes got the chance to share the stage with renowned musicians. M-Table then organized a one-day Musician’s Workshop on the theme ‘Out of The Box’ in March 2016 which was attended by over 150 musicians from all over the state including some participants from neighbouring states like Manipur, Assam, Meghalaya and West Bengal. The first ‘Acclamation Night’ was held at Bangkok Cafe in 2017 where M-Table felicitated list of award winners including Jano Nyekha for winning Best Folk Fusion Award at the Radio City Award 2017, Abiogenesis and Guru Nikolo Tsuzu, both for winning Governors Award in the field of music and SNF Band for winning Hornbill Rock Contest 2016. M-Table organized the second edition of ‘Out of The Box’ in 2017 with a host of music professionals as resource persons, among them were Abiogenesis founder/member Moa Subong, Alobo Naga, Tetseo Sisters, Among Jamir, while the event was held in partnership with one of the fastest growing music portal Artist Aloud – Hungama Digital media entertainment private Ltd. The upcoming Acclamation Night is expected to bring together renowned senior and upcoming musicians so as to encourage musicians and also enable them to share their experiences which will eventually help the music industry in the state.